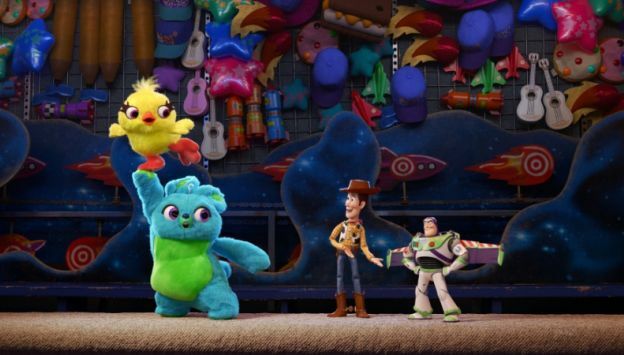 The highly anticipated next chapter in the beloved TOY STORY universe reunites audiences with iconic characters Woody (voice of Tom Hanks) and Buzz Lightyear (voice of Tim Allen). Woody has always been confident about his place in the world and that his priority is taking care of his kid, whether that’s Andy or Bonnie. But when Bonnie adds a reluctant new toy called “Forky” to her room, a road trip adventure alongside old and new friends will show Woody how big the world can be for a toy.